I am moving from my 5 year old PowerPC G5 Mac to my new Intel Core i7 MacBook Pro. Since I did not find a definitive guide on how to move your data, applications and preferences for my specific case, I am documenting here what I did for so that it might benefit someone else. I got the point of starting up the laptop and going through Apple’s basic setup process. Simple. However, in that process the computer asks you if you are moving from another computer. It wants to use the migration assistant. I strongly urge you NOT to use the migration assistant. It will bring over what you need BUT it will also bring over alot of junk that you dont need from apps that were installed and removed from your old computer. Besides its better to start with a a clean install of every application. The best explanation I’ve heard on this comes from my friend Chris Foley (Hat tip to @foleypod). He prescribes that a clean install is best. Moving applications over from your older system setup, in most cases, will require you to upgrade the software after you move it over. The strategy was pretty simple. Open you Applications folder on your old computer, review each application and decide what you want on the new machine. Google the ones you want on the new machine and you will get the latest installers that are correct for you machine (as many websites these days read in browser/platform information and can pass along the correct installer). So I did that for all my Applications large and small. BUT you may be asking yourself, what about registration data? Will I have to type in all that information again? I did. I basically have all the applications on my laptop right now and as I need them I launch them and get the right data in place. It takes a few minutes more, but its less headaches. On some applications, SOME I will bring over preferences. On Adobe’s fat install, no. I will make new prefs, too much baggage there. On smaller apps, yes. Apps like Typinator, or CSSEdit. Those I will bring over because they are not bloated apps. I followed this simple guide from eHow. How to Move Apple Mail Settings and Email on a Mac. It has you move the Mail folder located here: ~/Library/Mail. I also use MailTags and MailActOn. So I had to deal with their particular preference files. Fortunately for me I can use the iTunes Home Sharing function to use most of what I need. I will copy over any specific artists as I need them. I also have a large library of music on my iPhone too. The last bit for me it to move over my working files (current projects) and my web development files (all my custom programming). That is taking place right now while I am writing this post. Looking forward to working on this new machine. Now I have to realize I can getup and take it with me. I came across something while working with WordPress and Thesis that I know will help at least one person and possibly save them hours of frustration. So here is the tutorial. I was working on a revision to a visual layout of a website I previously helped develop on the Thesis theme framework. I spent more time than I should trying to find out where the extra space between webpage elements was coming from. Was it the CSS? It had to be. I checked the CSS using my editing tools. No extra margin, no extra padding, yet I still could not get page elements aligned the way I wanted. There was a mysterious “gap” between page elements. No matter what I tried with my CSS (other than negative margins—no bueno in this case) the gap would not go away. I finally got smart and looked as source code—the html. Typically I get to the source code earlier in the process, but this time I thought all my issues were in CSS but they were not. The key to the solution lie inside the HTML. I recorded the video tutorial below in hopes that it might help you. If it does, let me know in the comments. Be sure to click on the small, 4-arrow button in the bottom right corner of the video (as shown in the graphic below) to see the video at full size. Hope this helps. Sometimes one has the need to create a custom, or “funky” header navigation and today is the day for me. So I thought I would document the process of what I do to help you with a custom navigation challenge. We want to create a vertical navigation as is seen below in the previous version of the website (click the image to see full size). Something I have at the end of my all my posts is a box letting people know that I am a WordPress expert, Thesis certified designer, and that I can work with you! This shows up on each and every post. I have this setup in Thesis’ custom_functions.php. I thought I would share how I did this and explain some other options that you might consider if you want to use it. One of my frustrations when developing WordPress websites (separate from Thesis) is trying to have a “coming soon/under construction/under development” page so that the public gets the message that things are coming while I and the client can work away in the background. Why would you need this? Well in most cases you have a domain name purchased and parked somewhere. Many times you get a lovely, unsightly, generic ‘coming soon’ page that looks very unprofessional. I have been working with Thesis for a little over a month now. 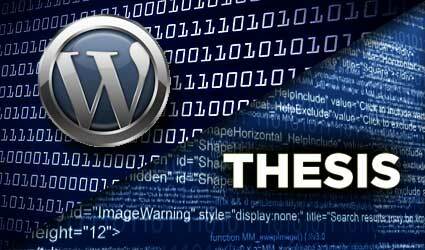 Thesis is a relatively new templating platform for WordPress. 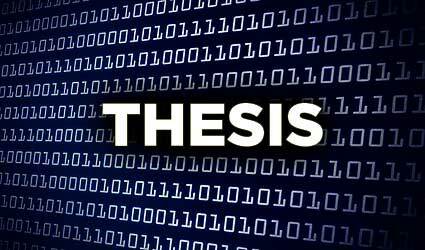 Thesis has unmatched SEO, cross-browser compatibility, and top-notch HTML + CSS architecture. This website runs on Thesis. I was looking through the Thesis forums and tweeting with others on how to get a solution to an issue. The issue has to do with creating custom templates. I want a custom home page design. I also want a custom template for other pages. Basically I want multiple custom templates available under one design. I have tried to explain what I have found below. I welcome your comments and ideas. There may be other ways to do this (usually is) but here is how I did it. Hopefully this can help others. If you are familiar with Thesis you can probably skip to, “Getting To It.” The way Thesis works is to keep all customization inside of one folder–that is part of its genius. Whenever the templating system is updated you overwrite the entire file structure, save your custom folder, and replace that back in and voila you have arguably the best templating system under the hood while keeping your design in tact. This may not seem like much to the layperson, but for those of us that design and develop web sites on platforms like WordPress it is a godsend. So back to multiple custom templates inside of Thesis. 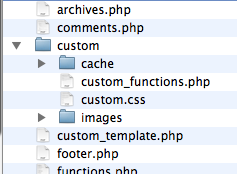 Every customized design using Thesis has their custom templates, css, and images stored within this folder. To create custom page templates you need to use Thesis’ ingenious “hook” system that allows you to tinker with the components of any part of the standard layout or, if you are brave, roll your own layouts and custom designs. The best entry-level instruction I have found for understanding and using “hooks” is at the web site of Sugarrae: here it is. 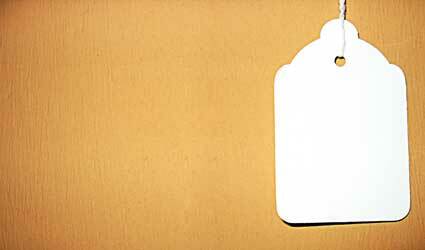 Once you have the basic understanding of “hooks” under your belt, have your designs ready to go, and have some WordPress chops, you are ready to create multiple custom page templates. So, first I want a custom home page template. The code above has been whittled down to show only the essential code. It works to display a custom home page as long as you have selected “custom template” from the pulldown menu when editing the ‘home’ page. You may insert any HTML and style it in the custom.css file. Be sure to save custom_functions.php and custom.css and upload to your ~/wp-content/themes/thesis/custom/ directory. So how do you add another custom template after defining the home page template? You need to define another function for your next page template. You can add as many functions (think page templates) that you like. Each one needs a unique name. You also need to define the conditional properly. You need to make sure that the conditional is within the function—it will not work outside of it. Use the right *if* statement to make sure you apply the right template to the right page. I typically put the page tag and the page ID—a type of insurance. You can find a page ID by hovering your mouse over the link to edit the page when viewing a page list within the admin area of WordPress. Since you already invoked the “remove_action” on the ‘thesis_hook_custom_template’ in order to replace the home page first you do not need to repeat it. The example above looks exactly like the standard content column on the left with dual sidebars on the right. I used a custom template in this instance because I wanted to perform specific calls to the database and produce specific lists of posts. Since I am doing it this way I also create the ability to style the page however I like through the use of creative CSS implementation. That’s it. This tutorial should get you well on your way to creating multiple custom page templates within the single custom_functions.php file. If you have any questions, comments, or suggestions I welcome them below. This article is translated to Serbo-Croatian language by Jovana Milutinovich.